The 2017 MLB season gets started today for fans via the technology upgrades to MLB.TV by MLB Advanced Media (MLBAM) and BAMTech. 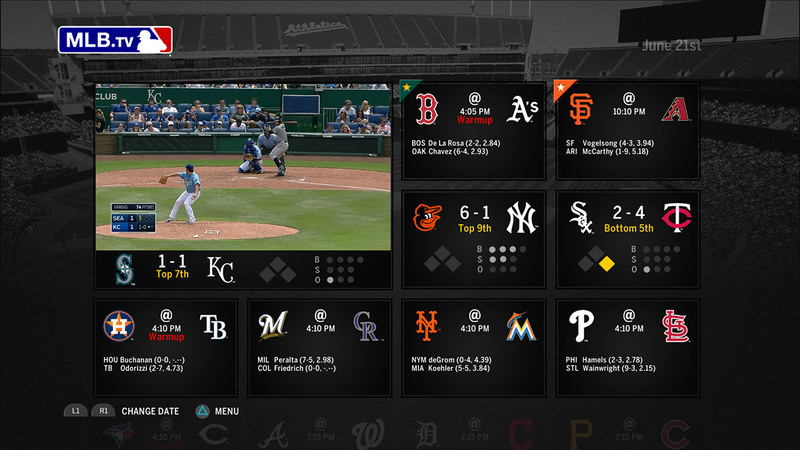 Live streaming in sports began 15 years ago with the launch of MLB.TV. To celebrate this achievement, new apps have been added to the sports tech product and more than twenty interactive features are now ready for the millions of subscribers to use during Live games supporting over 400 devices. The Sports Techie community blog is excited to share with our readers and followers product descriptions enabling more fan engagement while offering a premium fan experience through favorite team views, more connected platforms, Amazon Alexa integration, MLB.TV single team game package, and more. MLBAM And BAMTech Enhance MLB.TV Sports Tech For 2017 MLB Season – SportsTechie blog. The MLBAM and BAMTech design teams have been busy this off-season with plans on how to make the long-running sport app for live video streams even better through new technologies much the same way the front office of the defending World Series Champions, the Chicago Cubs, have been analyzing how to improve the team. The name of the digital baseball game for fans is interaction and MLB.TV is ready to deliver once the regular season games begin on opening day with new tools galore. According to writer Maury Brown of Forbes, Disney made a $1 billion investment in MLBAM’s BAMTech, with the final payment completed in January giving them a 33% interest in the company and an option to become the majority stakeholder in the future. This influx of Disney capital and infrastructure are a big reason why rapid growth is ahead for MLBAM. The following bells and whistles have been added to the live stream capabilities at a total cost of $129.99 per subscriber for MLB.TV Premium advanced tech and All Access features, including MLB.com At Bat app, for the entire year. TEAM VIEW: Using a designated favorite team, fans will get a custom team-centric experience on supported platforms. NEW APPS: MLB.TV will have redesigned applications launching on the following connected platforms: Android TV, FireTV, Xbox and Roku. WEB MEDIA PLAYER: The HD media player, a responsive, in-page layout experience, will introduce additional playback controls, milestone markers and support for Chromecast and Chromebook. “ALEXA, OPEN MLB.” MLB.TV Premium subscribers will have access to listen to live games without blackout restrictions using the new MLB skill on the Amazon Echo platform. 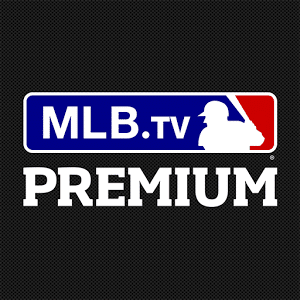 MLB.TV Premium subscribers have access to HD technology in 2017 on supported iPhones, iPads and Apple TVs as well as Chromecast™, PlayStation®4, PlayStation®3, Roku®, Xbox One and Xbox 360. Subscribers will have access to watch across all supported platforms – including At Bat – and choose either the home or away broadcast feed. HOME & AWAY FEEDS: Choose to watch either the home or away television broadcast feeds live, including Spanish-language audio overlay on supported devices. PORTABILITY: With a single subscription, watch live out-of-market games on all supported connected devices, smartphones and tablets. For a complete list of supported devices, please click here. AT BAT PREMIUM ($19.99 VALUE): Free access to all premium features in MLB.com At Bat, including home and away radio broadcasts, exclusive highlights and more. At Bat is available for iPhone, iPod touch, iPad, supported Android smartphones and tablets and Amazon Kindle Fire. 60 FPS LIVE STREAMING TECH: Revolutionary 60fps live streaming video will be available to MLB.TV Premium subscribers. This HD technology will be available in 2017 on supported iPhones, iPads and Apple TVs as well as Chromecast™, PlayStation®4, PlayStation®3, Roku®, Xbox One and Xbox 360. FOLLOW YOUR TEAM ($10 ADD-ON COMING SOON): Authenticated subscribers again will have the opportunity to utilize “Follow Your Team” to watch a single selected out-of-market team’s live local telecasts. The add-on feature also includes access to the selected out-of-market team’s games played against any team within the designated home television territory where the subscriber resides, provided that the subscriber is also a pay television subscriber of the regional sports network that carries the in-market Club that the selected out-of-market Club is playing. Subscribers to this package only will have access to watch a single selected team’s out-of-market regular season games live, accessible via the Internet through the MLB.TV HD media player on the web, supported connected devices and the At Bat free experience. MLB.TV Premium subscribers in the United States can watch all games live in the 2017 World Baseball Classic, the fourth edition of the tournament featuring the world’s best players representing their countries and territories. A minimum of 39 games will be played at six venues across four nations from March 6-22. All MLB.TV subscribers will have access to watch nearly 300 live Spring Training games from Florida and Arizona. The Spring Training game broadcasts via MLB.TV are scheduled to begin on February 24. Additionally, authenticated subscribers also will be able to live stream each game of the 2017 World Series as well as the MLB All-Star Game presented by MasterCard. Access will be available via MLB.TV through FOX’s participating video providers across any supported MLB.TV platforms, including smartphones and tablets via At Bat. The 2017 MLB season gets started today for fans via the technology upgrades to MLB.TV by MLB Advanced Media and BAMTech. Sports Techie, I have been a baseball fan, player and coach over the past fifty years and have worked in the industry too. Witnessing where MLB, MLBAM and now BAMtech have taken the digital fan experience because of sports tech such as MLB.TV and strategic business partnerships with Silver Chalice is truly a wonder to behold. Here is my quick breakdown of the 2017 product upgrades. I love the Seattle Mariners, Los Angeles Dodgers, Detroit Tigers, and Atlanta Braves, meaning I would have to choose which one of these teams I want to select as my designated team view in order to take advantage of this new feature, a good problem to have. Many folks are cutting the cord and switching to OTT boxes, a fact MLB has addressed with the new version of MLB.TV and the additional supported platforms. The MLB HD media player is now ready to support Google Chrome products as well as having more user control and personalization. Waiving the At Bat Premium cost is a nice perk for All-Access subscribers enabling free radio broadcasts over MLB.com. Using your gaming console, iOS devices and Chromecast to watch 60 fps live streaming video is awesomeness. The Follow Your Team, $10 add on is designed for the pay TV subscriber to have access to games out of market for a single team during a live broadcast as well as streaming of that same team playing within the opposing teams designated coverage area provided an existing subscription is in place with the regional provider. Now say that backwards. Fans have long asked for the ability to subscribe to one team only rather than all 29 other MLB franchises and that day is now here with the MLB.TV Single Game package. Sure you can only view out of market games using the HD Media Player online but that is better than having to buck up for the Premium Package pricing for basically the same service if you really only care to watch one team. Streaming live games on the web using your connected devices is the standard set by pioneer MLB through the launch of MLB.TV 15 years ago. This season, it all begins for Premium subscribers with access to Spring Training games this month, then the WBC in March, followed by regular season MLB games, and the All-Star game hosted by the Marlins Park Stadium on July 11 in Miami. Premium subscribers are then treated to streaming of the postseason World Series on mobile devices as long as you have clearance by Fox. It’s never been a better time to be a fan of Major League Baseball because of their sports tech product enhancements and integrations.